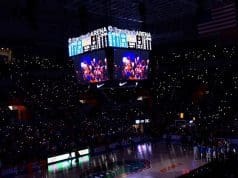 At the start of the 2017-18 season, there were arguments that this could be the best Florida Gators basketball team the program has seen in years. It even looked that way for a while. 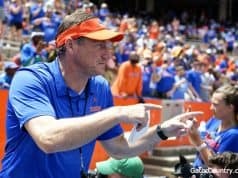 There’s no question, this Florida team was an offensive power in the early going, but it didn’t have a defense to sustain success throughout a brutal SEC season. From that point, head coach Mike White made the decision to pull the plug on one of the most exciting offenses in the country and shift all focus to defense. It raised question marks for many, but that’s probably why he’s the one making the big bucks. It was obvious the complete change in identity didn’t sit well with the team for a while. Every few games, Florida would give a glimpse of what could be, but then revert straight back to where it was the game before. The Gators were often selfish and had no consistency. That all changed in the final weeks of the regular season. 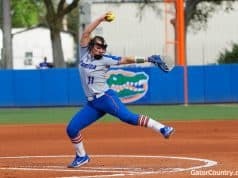 After going on an ugly stretch of five losses in seven games, Florida went on to defeat 12th ranked Auburn and embarrass both Alabama and Kentucky. Over the last four games, including the hard-fought loss at Tennessee, the Gators allowed just under 62 points per game. According to White, the newfound defensive consistency is simply due to the team learning how to play together. Jalen Hudson has been a huge component of that change. He’s made a Devin Robinson-like adjustment in his defensive mindset this season. White said Hudson and Robinson are actually really close friends, and he uses that as an example with him on a regular basis. The offense comes natural to him, but since he’s made a commitment to working hard on defense, his game has come together even more. Better defense equals more minutes by White’s standards, and more minutes equals more chances to put the ball through the hoop as well. For Allen, it’s been a different story. 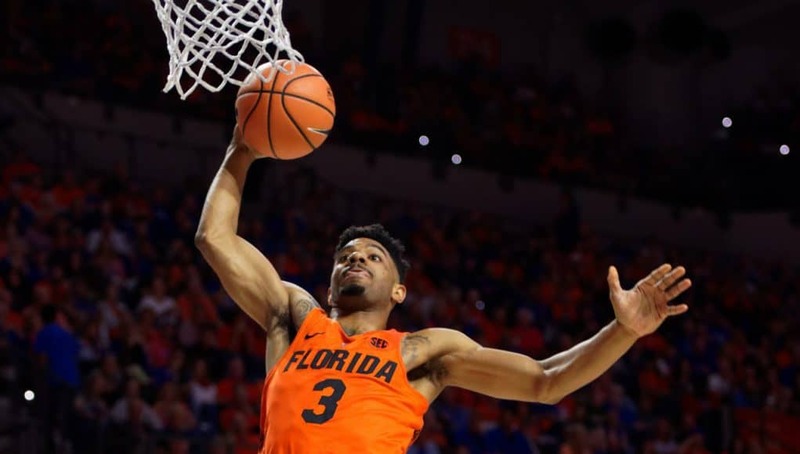 He has been streaky his entire career at Florida, but it seems like the issues with confidence and shooting the ball have only gotten worse in his junior year. He is currently sitting at a lower scoring average than he had in either of his first two seasons. He’s still getting 11.3 per game, but for his expectations, that’s not great. As an already unselfish player, it’s been a tough adjustment for him to not be the guy on offense anymore and have to share that role with both Hudson and Egor Koulechov. He’s still finding himself offensively, but things are looking up, as he’s recorded double figures in each of the last three games after not scoring a single point at Tennessee a couple weeks back. Arguably, Allen is coming off the best all-around game of his career. He put up 11 points, tied for his career high with seven rebounds, set a new career high with seven assists and grabbed three steals against Kentucky. Now that the Gators’ best offensive players have hit their stride defensively, offense has started to follow. This kind of balance would have been nice for Florida a while ago, but it couldn’t be peaking at a better time. White has been waiting all season for this team to reach it’s ceiling like last year’s team did, and that might finally be coming. Whether Florida can sustain the consistency it’s found will soon be proven in this week’s SEC Tournament and into the NCAA Tournament.